This is your year to visit San Diego. Even by the high standards of its ubiquitous nature and culture -- hiking, kayaking, craft beer tastings, sports, a bustling downtown, and of course its vaunted location on the Pacific Ocean -- 2017 is going to be an amazing one. San Diego’s beautiful setting and exceptional climate mean the city’s calendar is bursting with unmissable events: music festivals featuring legendary headliners, joyous gatherings, and sports world championships. 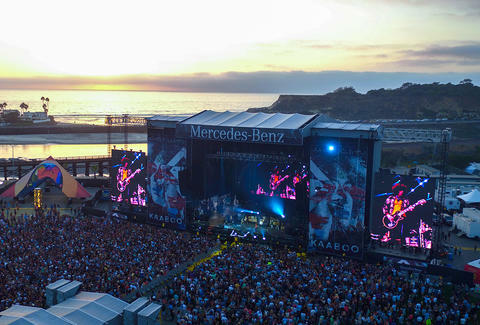 The Del Mar Fairgrounds are home base to the KAABOO® music festival for the third year from September 15-17. This year’s lineup is absolutely killer, featuring top-shelf talent from every generation: where else are you going to see Machine Gun Kelly, T-Pain, Weezer, Tom Petty, and The Animals perform as you watch the sun dip below the Pacific? 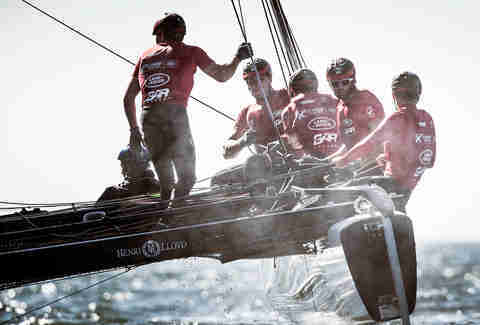 The Extreme Sailing Series™ will be coming to San Diego from October 19-22. Billed as the best spectator-oriented racing series in the sport, the event features some of the world’s top sailors engaged in high-performance action ultra-close to the shore. VIP experiences are available -- including a special Guest Sailor spot on one of the racing boats if binoculars won’t do for you. Just be sure to pack your sea legs. The Pacific Coast also serves as the stage for the Red Bull® Air Race World Championship, which returns to San Diego on April 15 and 16. 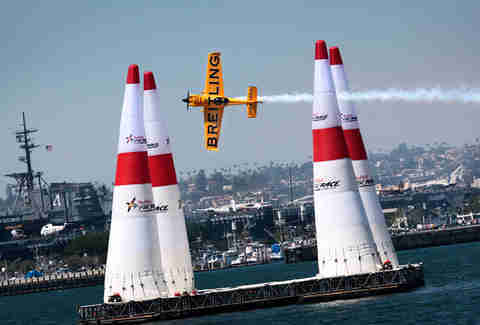 Fans line San Diego Bay to watch high-speed, low-altitude action from the event’s expert pilots, who twist and turn around a course designed to hit maximum G-Force. The pilots compete in two classes: Master, which is the top level, and Challenger. Competitors come from countries all over the globe, including Germany, Australia, Brazil, and Bhutan, among others. The planes themselves are engineered to be at the forefront of lightweight aviation technology. Constructed to be as light as possible in an effort to meet maximum speed, these propeller-driven aircraft can pull into vertical orientation with little effort at very high speeds, which is something not even fighter jets are able to do. For the best seats, Red Bull’s Sky Lounge is unbeatable. With a perch in downtown, right on the bay, guests experience live commentary, gourmet food and drinks, dedicated parking, and shaded, plush seating options. San Diego’s near-perfect climate provides ample opportunity for sports to shine. Because of this, San Diego was chosen to be one of the host cities for this year’s CONCACAF Gold Cup™ tournament. (That stands for Confederation of North, Central America and Caribbean Association Football, if you're wondering). 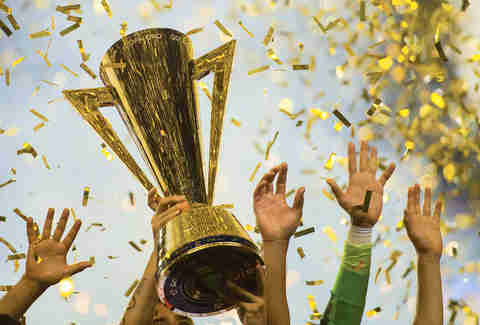 July 9th will bring two games to San Diego in the conference’s highest level of play, a tournament where the coveted Gold Cup is at stake. Curaçao and Jamaica will face off along with El Salvador and Mexico -- two games that are sure to bring the heat, with the latter being especially exciting as the Mexican border is just 20 miles from Qualcomm Stadium. But it’s not just a spectator's city. Get your hands on a bat and ball in the 64th annual Over-the-Line Tournament, which will be held on Fiesta Island in Mission Bay Park during two weekends in July this year (8-9 & 15-16). This game is a San Diego staple, and the tournament, run by Old Mission Beach Athletic Club of San Diego (OMBAC), is one of the city’s premier social events. Oh, and it's BYOB (no glass! You've been warned). Even tourists can get in on the action. Since games require little more than a bat and a ball and just three people, it’s easy to get a formal competition going -- anyone can join in this old San Diego pastime. Sign up online the first week in May before the spots fill up. Spectating draws a healthy crowd, too, so don’t worry if hitting balls isn’t your thing. Plus, it’s on Fiesta Island. That pretty much says it all. If your visit falls in...well, fall, San Diego Beer Week returns from November 3-12. Did you know that San Diego County is home to over 130 breweries? Widely hailed as the Craft Beer Capital of America, it's a natural home for the festival. All over the city, various breweries and restaurants hold events intended to celebrate all things local and craft beer-oriented. 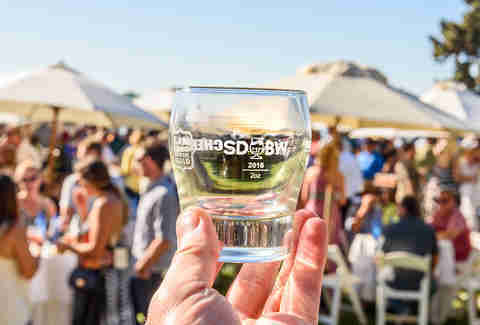 What makes San Diego’s Beer Week special is that the festivities take place all over the city in local venues, not just the central San Diego Brewers Guild Festival at Broadway Pier (but you're gonna want to start there for sure). Despite its name, Beer Week lasts ten days, because you just can't fit more than 500 events in otherwise. And nobody wants to live in some kind of awful, merely 250-event week world. Tours and seminars are abundant, but Beer Weeks past have included competitions like Brew vs. Brew, a blind tasting competition between breweries. A major feature of the festival is the rare beer releases like last year’s Lost Abbey Rare Beer Tap Takeover, when the Belgian-style brewery tapped only its scarcest kegs in a bar takeover. There was also Sausage and Suds Flights at North Park Brewing Company, which offered a selection of sausage paired with specific beers. 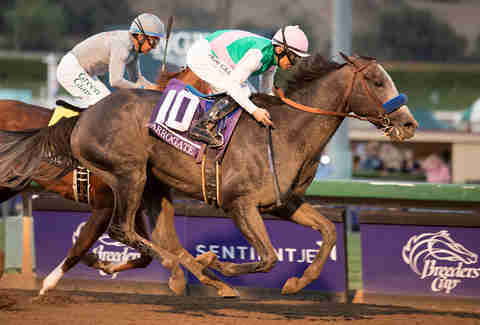 The Del Mar Thoroughbred Club will host the Breeders’ Cup® World Championships for the first time on November 3 and 4. Set against the backdrop of the nearby Pacific Ocean, the racetrack “where the turf meets the surf” is ready to host the richest weekend in sports. While it’s not required, fans often dress up dandily, so bust out your seersucker suit and straw hat to settle into the stands with an ice cold cocktail to watch the races -- and the sun -- go down next to the beach. Speaking of the beach, the International Surfing Association World Adaptive Surfing Championship in La Jolla gives surfers with physical challenges from 20 nations the opportunity to shine this fall, catching (and making) waves in one of the world’s most famous surf towns. The Championship is marked by two full days of competition with multiple heats, as well as a series of surf clinics and symposiums. At the end, an award ceremony caps off the festivities. The ISA describes its goal as exploring and studying "how surfing can play an ongoing and vital role in enriching the lives of physically challenged athletes." The Championship is dedicated to two things, both awesome: to get adaptive surf added to the Paralympic and Parapan Am Games, and "to create a better world through surf." Now that's a mission we can all raise a local craft beer to. 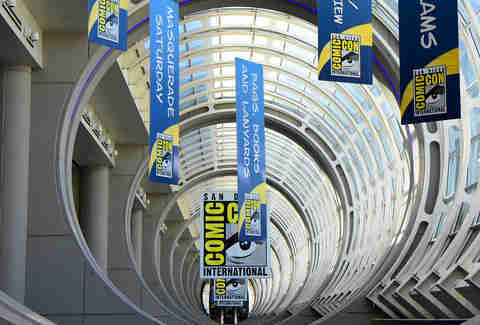 Comic-Con® International returns again from July 20-23, when over 100,000 pop culture fans converge in downtown San Diego to celebrate all things comic book and beyond. The heart of the action takes place at the San Diego Convention Center, but it’s hardly the only spot to check out. Nearby hotels and parks join in on the action to offer a city-encompassing experience for convention-goers. In years past, celebrity talks and meet-and-greets, exclusive movie trailers, video game demos, and other exhibitions can be found in “off-venue” locations all over the city. Don't frown if you can't attend that weekend; the newly announced Comic-Con Museum in Balboa Park will soon keep the culture popping long after the last cosplayer has taken off her Klingon forehead. Part of the fun of Comic-Con is even the creators can become fans. Breaking Bad ’s Bryan Cranston wore a mask of himself as Heisenberg four years ago -- and after strolling the floor receiving compliments on his cosplay, strolled into a panel, then doffed the visage to reveal... the same guy. So if you find yourself in San Diego during the end of July -- don’t think twice about the dude ahead of you in line for coffee who’s dressed like a superhero. And if you see someone you think you recognize, there’s a good chance it’s a movie star in town for Comic-Con. It’s not hard to understand why more and more event organizers are settling here. San Diego is a beautiful city with an incredible range of options to do just about anything, whether you’re into gaming, are an amateur ball-and-stick sports enthusiast, or just a spectator, taking in all the sights and sounds. Though there are plenty more activities and events coming to San Diego during 2017, these should justify a trip to SoCal any time of the year -- and no need to worry, the weather will be perfect. There has never been a better time to visit San Diego, so what are you waiting for? Plan your trip at SanDiego.org.